Our company has achieved laurels in providing Substations Service. 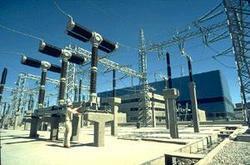 Catering to the requirements of our clients, we are involved in offering Substation Service. SHREE HARI ELECTRICALS undertakes Design to Commissioning of Substations of ratings up-to 400 kV. Shyama Power provides complete turnkey solution for designing, sourcing, execution of civil and electrical works, testing and commissioning of substations/switch yards up to 400KV. The scope of EPD SBU consist of design, supply, erection & commissioning of Extra High Voltage Substations & Infra Electrification works. We have expertise in the design, execution (electrical, civil and structural), sourcing and supply, construction and project management of EHV substations and switchyards. Our domain expertise has enabled us to come up with an excellent quality EHV Substations Services. These offered services are rendered as per clients’ given details and specifications, using modern tools and technology. Furthermore, we charge very nominal price for all these services. We also keep a regular contact with customers for making cordial relations with them.